When it comes to climate change, a self-described “walking billboard for the glaciers” wants to prove that anyone can make a change – by creating art that provokes discussion about climate change, while revolutionising environmental activism. 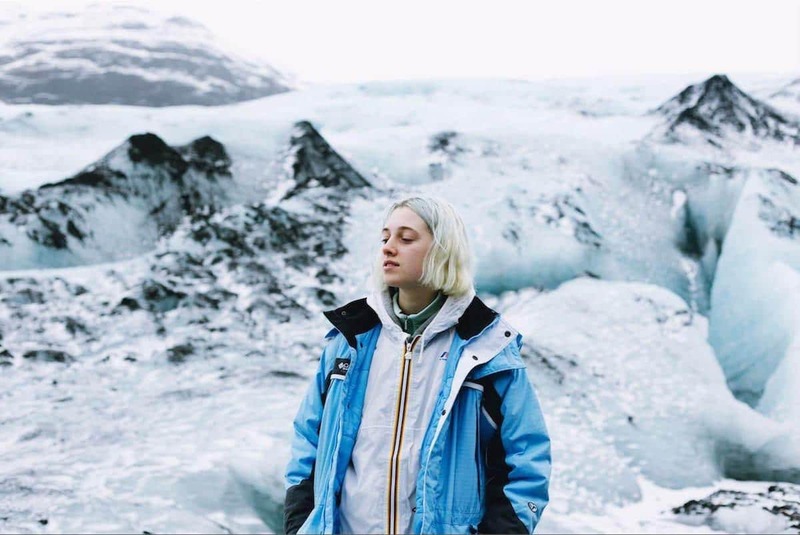 Glacier Girl started as the ice blue-haired Lizzie Farrell’s school art project, which in only a few years has developed from an Instagram account into an exhibition in Somerset House and collaborations with British designer Vivienne Westwood on her #savethearctic campaign. 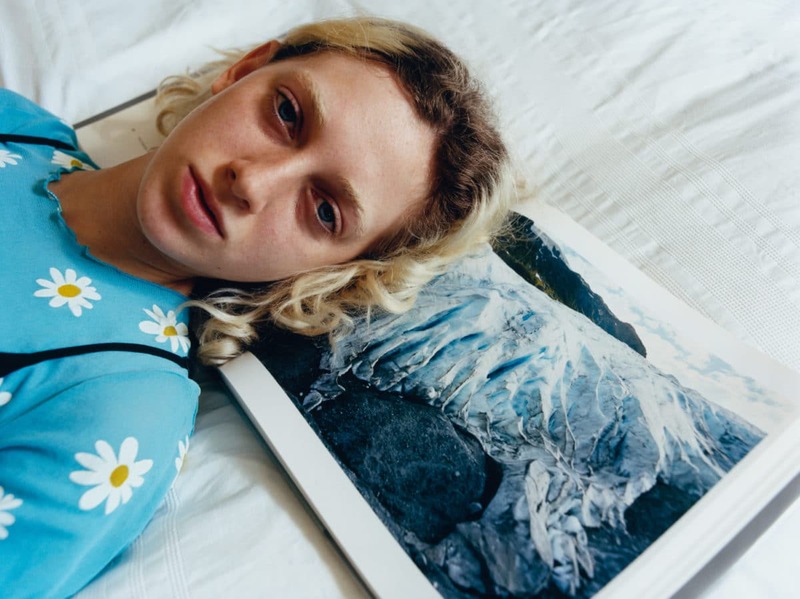 Under her superhero alias, the 21-year-old takes photos that aim to rebrand climate change into an issue palatable and understandable to the Instagram generation. Remember The Glaciers was her way to speak up about the dangers of global warming… in a cooler than ice way. Continually amazed by the power of the feminist movement, Farrell wants to raise awareness about climate change, adapting the aesthetic of ‘ecologically-friendly’ from eco-green to a blue aesthetic to appeal to the iGeneration and the generations to come. She hopes to to steer away from the stigma around environmental activism. And she is doing this through portraits of herself washed in blue or in sunsets – selfless selfies for the selfie gen. Her projects show the potential of art, collaborations and crowdsourcing to enable initiatives to reach larger audiences and increase interest in climate change. They offer a way to engage those who may find issues of sustainability alienating, or difficult to understand. Glacier Girl was spotted on the Futures Centre. Tags: Awareness raising, Campaigns, Climate, Communication, Conservation, Crowdsourcing, Culture, DIY, Environment, Fashion, Photography, Storytelling, Women, Youth.